Some of you walked before us. Some of you walked beside us. Some of you will walk behind us. always be carried inside us. May your journey be pain-free. Some of them we had the honor of knowing personally, some we knew of and some have been included in memory of, but they are all our Sisters and Brothers. 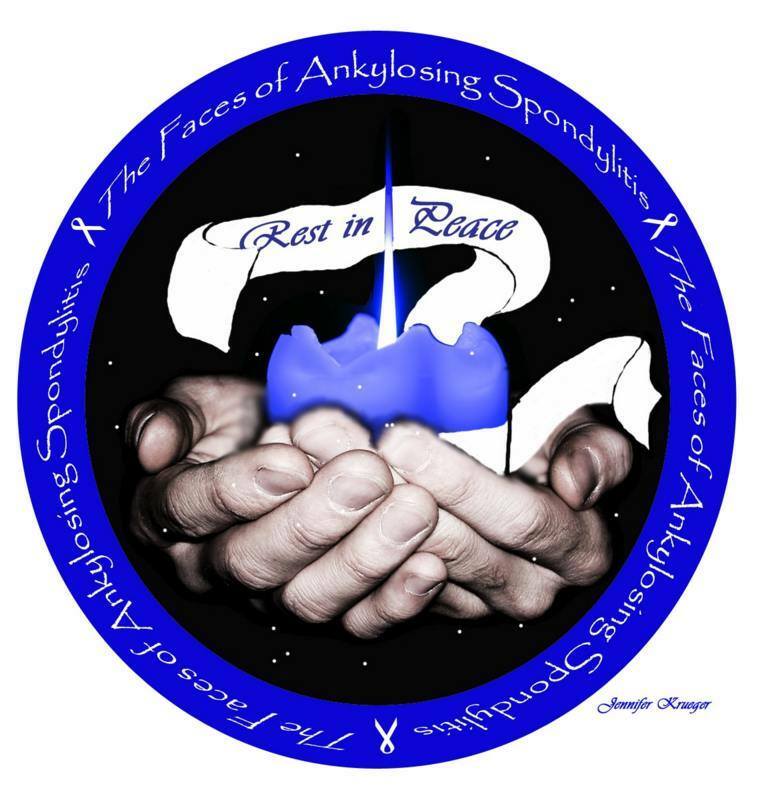 All of us that walk the journey of Ankylosing Spondylitis have a special bond and kinship with one another. So we wanted a special place for those who no longer walk with us, but are now being carried in our hearts. You may find a Face of AS member that has not been included, please remember we are not always informed or notified when one of our own passes away. If you find this to be the case please notify me at CookieHasAS@aol.com and I will be honored to add them.